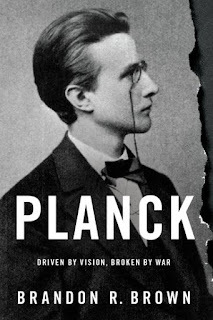 MY BOOK, THE MOVIE: Brandon R. Brown's "Planck: Driven by Vision, Broken by War"
For Max Planck himself, I’d vote for the stony-faced intensity of Ben Kingsley. Kingsley has the gravitas and fiery eyes for the role. He even has the sharp facial angles for the brave and tragic professor from Berlin. For Planck’s younger friend Albert Einstein, I would try an offbeat angle and cast Mark Ruffalo. That actor has the playful face of Einstein and he conveys a lot of inner turmoil in his non-superhero roles. And this is to say nothing of the hair – he could easily get the hair right, without a wig. And for Planck’s good friend and fellow-physicist Lise Meitner, I’d want Marion Cotillard. I think she would resonate very well with Meitner’s inspiring rise against social barriers (as a Jewish woman in German science) as well as Meitner’s inner conflict concerning her obsession with nuclear science versus having a positive societal impact. There is so much casting left to do, given the enormous list of characters, from Planck’s son Erwin (a man active in the German resistance and eventually arrested by the Gestapo) to Adolf Hitler himself, and many others! 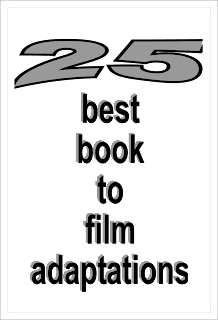 Beth Cato's "The Clockwork Crown"
Jessica Alcott's "Even When You Lie to Me"
Lynne Jonell's "The Sign of the Cat"
K. David Jackson's "Machado de Assis"
Nina Berry's "The Notorious Pagan Jones"
Jon Talton's "High Country Nocturne"
Larry D. Sweazy's "Escape to Hangtown"
Robert Goddard's "The Ways of the World"
Gary Corby's "Death Ex Machina"
Brooke Johnson's "The Brass Giant"
Christopher Brookmyre's "Dead Girl Walking"
J.T. Ellison's "What Lies Behind"
Sophie Jaff's "Love is Red"
K. J. Larsen's "Bye, Bye Love"